Virginia Governor Bob McDonnell is holding little back as he compares his state’s model for success to Washington’s big government corporate socialism and big labor cronyism. In a recent letter, Gov. McDonnell writes, “we are unapologetic supporters of Virginia’s Right To Work laws.” But, McDonnell doesn’t stop there. He pulls no punches when he compares Richmond to Washington, DC and boasts about Virginia’s success. There’s much more separating Richmond and Washington than just 100 miles of interstate. It’s a Tale of Two Cities. In Washington they’re bogged down in red ink, spiraling debt, expanding government and overspending – all while the difficult decisions are left to future generations. Here in Richmond, for the second straight year, we’ve reached the end of our fiscal year in the black –with a surplus this year of more than $500 million. What does it take to create jobs and bring economic development to Virginia? It’s really common sense and a focus on getting results, something that is in short supply in Washington. Businesses want consistency and a level playing field, low taxes, reasonable regulation, good schools and a world-class transportation system. We are unapologetic supporters of Virginia’s Right-to-Work laws and fighting off the union excesses that is hurting businessmen across the United States. We’ve kept taxes low on businesses in Virginia. We’ve worked to reduce the regulatory burden on businesses here in the Commonwealth. Contrast that with how Washington does businesses. In Washington, the Administration is using unelected people in appointed boards to do what Congress can’t, like using the NLRB to prohibit companies like Boeing from relocating some of their workforce to Right To Work states. In Washington, a national healthcare plan was passed which explodes the cost of healthcare that employers must pay, and places an estimated $2.2 billion unfunded mandate on Virginia over the next 10 years. In Washington, the Democrats beat the redistribution drums for increased taxes on job creators and wealth generators. What business wants more than anything else from government is to make sure there is certainty and a level playing field –and then get out of the way. When we took office in January, 2010, we were greeted by a massive budget shortfall, our rest stops were closed, and we were facing outgoing Governor Tim Kaine’s proposal for a job-killing $2 billion tax increase to solve our shortfall. In the worst economic times we’ve had since the Great Depression, the worst thing we could have done is passed a $2 billion tax increase! But we do things differently in Richmond than they do in Washington. Instead of raising taxes and increasing spending, we worked with the legislature to pass a balanced budget by cutting spending. We reduced state spending to 2006/2007 levels. We focused government on its core functions. In the past year and a half, we were also successful in attracting the corporate headquarters of Fortune 100 company, Northrop Grumman, brought new jobs to Southwest Virginia by recruiting DirecTV, Convergys, ATK and Phoenix Packaging, and facilitated a significant $500 million investment in Mecklenburg County by Microsoft. 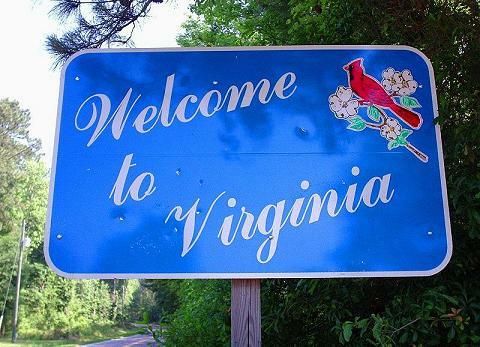 At the end of June, CNBC named Virginia the “Top State for Business” in the United States, giving Virginia the highest score in the country in their survey. A few weeks ago, Polina research survey did the same. When vou recognize that it’s private enterprise and the free-market system that creates jobs, vou win. We have had some challenges in getting some of our reform agenda passed in the Virginia Senate. In this past legislative session, we pushed to support a Balanced Budget Amendment to the United States Constitution, doing our part to get Washington D.C. to live within its means, like we do here in Richmond. We also pushed for a “Repeal Amendment,” which would restore some much needed balance to our federal system of government by strengthening the 10th Amendment rights of the states. We pushed to have our job-creating Right To Work status made a constitutional protection for hard-working Virginians – and also ensure that workers voting in union elections get to cast their vote in private, a basic right we all deserve. We worked to enact substantive reform to the state pension system to tackle our $18 billion unfunded liability and tried to create a modest school choice scholarship bill for needy children. All this legislation was killed in the Democratic-controlled Senate. McDonnell’s letter makes it clear: a state that embraces the free market by granting employees and employers freedom from coercive unionism and fluctuating regulation succeeds in many ways. It is time for Congress to wrest control of our economy from unelected Obama administration bureaucrats, right the ship of state, and set sail on a course towards free enterprise.